North Dakota is known by many names such as the Peace Garden State, the Rough Rider State, Flickertail State, North Dakota, the 701 and for many others it’s simply “Heaven”. It was admitted to US union on 1st November, 1889 and was the 39th State under US constitution. Germans constitute a major share in total population census of North Dakota. There are only 20 higher education campuses in the state and agricultural industry is the major revenue generator in North Dakota. 3.7% is the unemployment rate in North Dakota, which is lowest in whole nation and credit goes to agricultural and health care industries of the state. What is North Dakota board of nursing and what are its responsibilities? 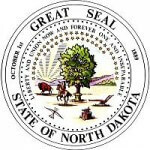 North Dakota Board of Nursing is the only administrative and regulatory board, which promotes the nursing programs and services as well as safeguard public health issues in North Dakota. North Dakota Board of Nursing was constituted under the enforcement of nurse practice act in state. Health care industry in North Dakota has been thriving forward and proactive participation by NDBON. Endeavoring to discover and implement new research and development programs for promoting the health care services in state. Assisting the nursing professional in apprehending and executing safe nursing practice. Clearing the vague picture of board’s mission and vision to North Dakotans for promoting health awareness in state. Licensing and certification of various nursing professionals. Approval and denial of nursing programs after retrospection of performance record of training center in previous years. Who are the Board Members of NDBON? The working tenure is 4 years for each member. The members can be reappointed only once. The board members are appointed by the governor of North Dakota State, after considering their valuable service and efforts to raise the standards of nursing services.